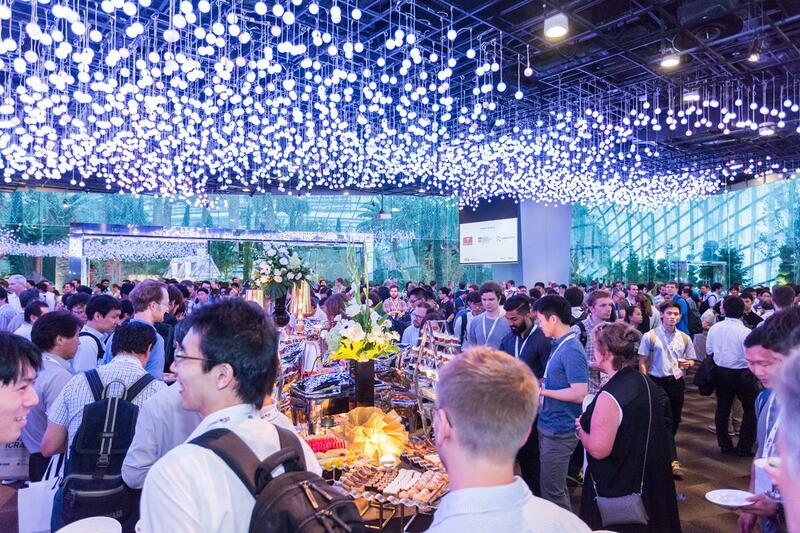 The 2017 IEEE International Conference on Robotics and Automation (ICRA), the IEEE’s principle forum for robotics researchers to present their work, was held this year at the Marina Bay Sands Hotel and Convention Center in Singapore. ICRA continues to have the highest number of cited research papers in the robotics field of all the various global conferences (including IROS). In an IEEE/Spectrum review of that portion of the conference that was biomedical-related, a swallowable capsule robot capable of needle aspiration, guided by magnets, and an autonomous snake-like colonoscopy robot were two of the hits. Another reviewer found the rehab exoskeletons, haptic interfaces, modular robot components and many of the ROS-enabled solutions of merit. Overall, almost 3,000 robotics researchers attended ICRA 2017 and most found many things of interest (including Singapore and the Marina Sands Hotel). The Association for Unmanned Vehicle Systems Internation, AUVSI, annual trade show and conference, Xponential, held this year in Dallas, Texas, showed the changing nature of the industry and offered suggestions (guesses) as to where they were going. 170,000 visitors attended while 100 speakers and over 650 exhibitors put on this choreographed show of military weaponry, defense and security systems and equipment, and commercial unmanned air, land and sea systems. AUVSI’s membership fees are discounted for members of the military and first responders and the exhibitor list continues to favor military/defense-related companies, but most of those companies now have a growing commercial component. Autonomous vehicles have always been the constituency of AUVSI but with all the money flowing into autonomous car startups, and the talent search to corral people to make this new industry happen, a small portion of this Xponential show was devoted to the prospect of that future (see chart above). The folks at The National Robotics Education Foundation (NREF) produced a gallery of over 300 interesting photos from Xponential. They also produced a special set of pictures of UAS engines from the show. Unmanned vehicles used by the military, for search and rescue, in support of agriculture and mining, for infrastructure inspection, and in a variety of other circumstances must stay aloft for long periods, hence the interest in engines that can support that amount of air time. I visited Innorobo. It is a necessary show in a rapidly changing arena. 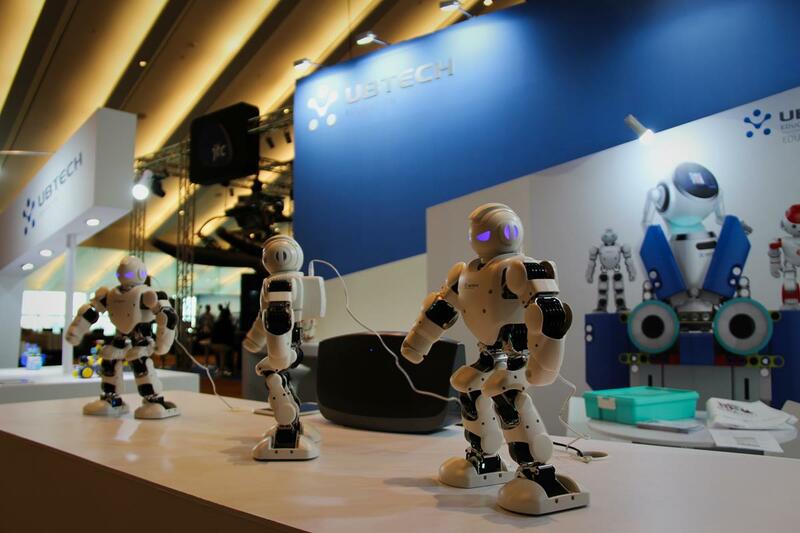 Over 7,000 visitors perused an eclectic group of 170 startups, integrators, component manufacturers and service robot providers exhibiting a wide range of products and services at a site on the outskirts of Paris. Over the 3-day show, 50 speakers explored topics from robotics-related AI to philosophical discussions about law and ethics to the latest innovations in personal and professional service robotics. The IFR (International Federation of Robotics) says that robot installations in France increased by 22% to 1,400 units in 2016 (compared to 700 units in the UK), particularly within the car industry. France ranks 2nd within the EU for robot density (the UK is 10th). Innorobo started as a show to promote France’s robotics industry (there are 225+ French companies in The Robot Report’s Directories and on our Global Map). Held in Lyon, the show grew to its present size through the hard work and willpower of a small group of inventive women entrepreneurs. It grew and relocated to Paris where it’s been for the last two years. As the focus expanded from promoting in-country robotics to displaying global innovations in robotics of the startup companies, research labs and service robot companies beginning to make inroads aroud the world – the show has become a valuable mainstay for the European press, investors, business executives, students, and roboticists alike. From time to time it becomes relevant to toot the horn of the free resources available on The Robot Report. Our events calendar, directory of companies and educational institutions involved in the robotics industry, and the global map for job seekers and researchers alike are free and always updated.